Did you know our heat lamps can be converted to any wattage? Our heat lamps also come in any pantone color! We can also do wood grain and marble finishes. We call this the XYLO program and its exclusive to Eastern. To find out more check out Easterntabletop.com or follow us on Twitter & Instagram @ Easterntabletop. 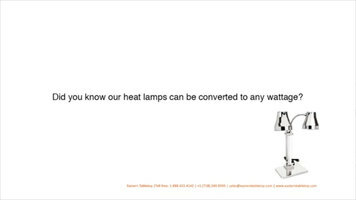 Check out Eastern Tabletop's wide variety of heat lamps! With the ability to be converted to any wattage, these lamps are versatile enough to be put in any location! Keep carving station meats and other temperature-sensitive items at a food-safe temperature with the Eastern Tabletop 9652 double arm pillard square heat lamp! Made entirely of stainless steel, this lamp uses two 250W bulbs and adjustable neck to ensure proper heating for any food item. The portable design allows the lamp to stand on its own, or have the stand to slide under any carving table. Its 28" height provides ample space to work under the light without interruption. 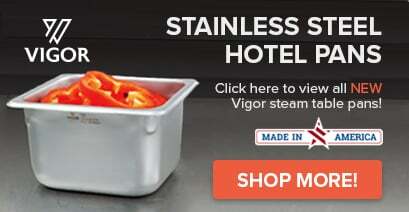 Ideal for chef stations in restaurants, hotels, country clubs, and catered events, this attractively styled pillard square heat lamp is perfect for any service operation. 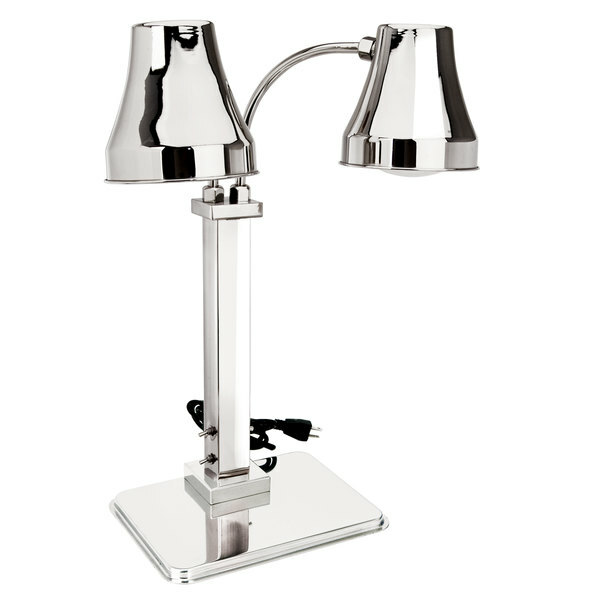 The attractive stainless steel finish ensures this lamp will fit any decor, while an on/off switch is located on the post and away from the heat zone for added safety. This lamp requires a 110V electrical connection. Greta looking heat lamp with a beautiful finish. This lamp is first class quality all the way. The arms are adjustable so you can keep the food warm.